Another year is ending, so here’s my list of the favorite things I discovered in 2013. Here’s The Thing podcast. I heard about it from a tweet from John Siracusa and it’s a fantastic show. Alec Baldwin is a great interviewer and gets the absolute best guests. Sad thing is that most of the new episodes are reposts. I recommend the David Letterman, Billy Joel, Brian Williams, Dwight Gooden, and Robert Lustig episodes. Nest thermostat. It was a gift from my Dad and I was able to install it in about an hour. It’s keeps a history and learns your behavior and tries to save you money on your electric bill. And I think it’s saved us $30 a month actually. But the killer feature is grabbing your phone, launching the app, and changing the temperature in the house without having to get out of bed. The Walking Dead game. Developed by Telltale Games, who may be the most human game developer out there, this is a superb game. So emotional. Lauren and I played it together (I held the controller) and at times we both teared up. Just wonderful. The iTunes Artwork Finder, by Ben Dobson. To simplify how we watch movies and TV shows, I decided to put all the AVI and MKV files I have into iTunes. That meant using Handbrake to convert to MP4, but iTunes wants cover art for every file. This web site is written by a freelance developer as a tool he used for himself to get album art from the iTunes Store API. Now it searches for Movies, TV, and more. See also iFlicks 2 in the Mac App Store. The Firestone Auto Care franchise in Mount Juliet. I used to work at an office within walking distance of a Firestone, but since changing jobs and moving to a new house I hadn’t found a new place to take my car. This Firestone is never busy, I never need an appointment, and it’s in the adjacent parking lot to the restaurant Cheddar’s, which has a good chicken tenders and a decent bar. Hattie B’s Hot Chicken. On 19th Ave in Midtown, I’ve found my new favorite joint. And the last several times I’ve gone there, I’ve ordered the exact same thing: Large white meat plate, Hot, fries and slaw, and banana pudding. My goal is to work up to the Extra Hot, which will undoubtedly murder my taste buds in the best way possible. Super Stickman Golf 2. I’ve played this little game for over 150 hours. I’ve made in-app purchases just to support the developer. I love this little game. Candy Apple flavored Milky Way minis. Found them at Target in the Halloween candy section. They might soon break into my Top 5 candy bars. Olivia Louise Johnson. This year my wife gave birth to our first child, Olivia. She’s such a happy baby. She has a big smile, bright eyes, and the fastest growing fingernails I’ve ever seen. She is alert, she interacts, and she loves to grab at my beard. She’s pretty awesome. She has changed my life for the better. This entry was posted in Life and tagged Favorite discoveries on December 31, 2013 by everydayscott. My Windows PC died about a month ago after 5 years of service as a home server. The hard disk controller on the motherboard was failing. I weighed my options and decided to replace it with a Mac Mini and an external hard drive enclosure. So far it’s working out well. It’s certainly a lot quieter than the loudmouth fan on the 400W power supply in my previous rig. However, there’s plenty in OS X that’s tripping me up. I’m trying to figure it all out organically without looking in Help for keyboard shortcuts or quick tips. As a Windows power user switching to OS X for the first time, I have several annoyances. The right-click-on-folder-name for folder hierarchy took me about a day to discover. It’s not as slick as the Windows Explorer way of displaying an Address Bar with clickable folder names. I severely miss the behavior of Home and End keys in Windows, where it jumps to beginning or end of line instead of beginning or end of page. I know I can do the same thing with CMD-Arrow, but that is some seriously old muscle memory. I accidentally jump to end of page about once per minute. CTRL-Arrow on OS X jumps around the Mission Control desktops and dashboards, which on Windows is jumping to the next word on a page (OS X shortcut is OPT-Arrow). I accidentally pull up the Dashboard about once every 10 minutes. Cut, Copy, and Paste is still X, C, V but using CMD instead of CTRL. That’s an entirely different way to configure your hand to hit that key combination and I haven’t learned it yet. It’s pretty frustrating to be slow at Copy and Paste. If you right click inside the Finder, either on an item or in empty space, you are given a content menu with actions. New Folder, Move To Trash, Copy, Paste, Get Info, etc. are usual suspects in the context action menu. If you click on an document, Windows Explorer gives you the option (among other actions) to Cut, Copy, Delete, and Rename. Finder only lets you Copy or Delete from this menu. I kinda miss Rename action but severely miss Cut action from this context menu. I’m copying then deleting a lot more these days. Also, the Context menu in Windows has a dedicated keyboard key (between ALT and CTRL right of the space bar). I haven’t yet discovered a keyboard shortcut for the context menu in OS X. I’m reaching for my mouse quite a lot. I miss the Explorer dialog boxes in Windows. The Finder Open Dialog has no address bar, which means no pasting in URLs. I’m copying a lot of stuff to the desktop. Also the Close Dialog in Windows usually has a hotkey, so you can hit “S” on the keyboard to Save, “C” for Close. These days I’m having to reach for my mouse to click a button. I dislike how after installing an app, the DMG is still mounted on the desktop. It’s just annoying. It seems like the Trash is a universal target to make something “go away”. Trash can isn’t a clear metaphor for unmounting a disk image. iTunes, Quicktime, and Home Sharing work so much better on OS X. Home Sharing loads my iTunes library so fast. I bet it gets slower but for now I’m enjoying it. iPhoto is an unmitigated disaster. What a mess. Apple has an iCloud Control Panel for Windows that is simple and straightforward and downloads photos off of Photo Stream into an actual file in an actual folder. Requiring iPhoto to interact with iCloud Shared Streams is madness. Where is the equivalent of the “Photos” app in iOS? Also, I want to see these photos in a window in Finder by that doesn’t seem to be an option. The nomenclature of Video, Movie, TV Show, and Home Video is just as confusing on the Mac as it is anywhere else, iOS included. Videos I take on my phone that are added to an iCloud Shared Stream get put in my iPhoto Library in my Pictures folder? But videos I take on my phone then manipulate in iMovie get saved in the Movies folder? And videos I take on my phone get synced to iTunes under Home Video and saved in the Music folder? The Mac App Store is pretty great. For too long I’ve relied on CNet for finding utility software. Although my Mac Mini shipped with Mountain Lion and first order of business was update to Mavericks, after which the Mac App Store prompted me to download and install Mavericks again. Weird. And in the past month I’ve downloaded 2 Camera import updates to support RAW. Pages, Numbers, and Keynote I got for free, but I’m don’t imagine I’ll ever use them They’re removed from the dock. I’ve got Microsoft Office 2011 for $10 from the Home Use Program. I may never use it either, but I know Word and Excel. I’ve removed Mail, Calendar, Contacts, Reminders, and Notes from the dock as well. Frankly, I’d rather just do all of it from my iPhone than get notifications about it in two places. Pinta is a decent replacement for Paint.NET. I miss Notepad++. I need to upgrade my license to 1Password to be a Mac + Windows license. I also miss my tool chest of random executables that I’ve collected over the last 12 years since adopting Windows XP. I had a screenshot tool, a file renamer, a file append tool, and of course ProcMon.exe in my tool chest. Now I’m afraid I’m spending $20 a pop on little utilities in the Mac App Store or learning how to do all this in Terminal, which is a painful thought. This entry was posted in Life and tagged Apple, OS X on December 9, 2013 by everydayscott. Six weeks ago, my wife Lauren gave birth to our first child, who is awesome, and life has been a blur pretty much everyday since. The best kind of blur I think possible. 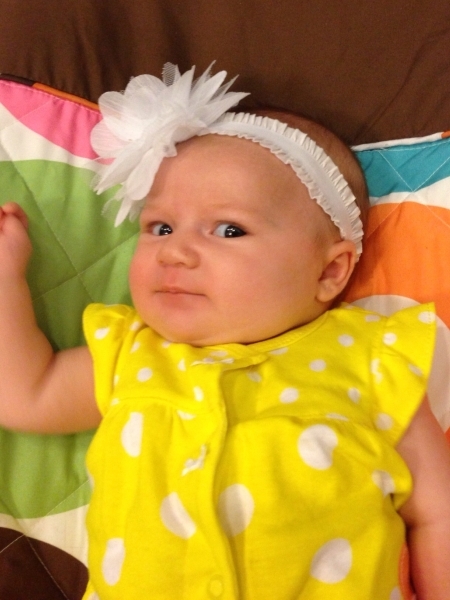 Olivia is an expressive, happy, and super cute baby. She’s a good sleeper, a good eater, and doesn’t cry unless she wants food or a fresh diaper. She just doesn’t like to cry. Amazing. When she was less than 9 days old, she had her first restaurant experience and slept the whole time. Last night, Lauren and I went to The Melting Pot with her parents to celebrate Lauren’s [redacted] birthday and Olivia of course came with us. From the moment we got in the car to the moment we got home, she was asleep in her car seat. Amazing, and I’m sure it won’t last forever. Nothing lasts forever, which is why we are taking lots of pictures. Most people say she looks like a carbon copy of Lauren, which I tend to agree with. She has Lauren’s chin, nose, and mouth. But she has my feet, my snoring, and when she gets hiccups she also kinda burps them out, which is totally something she got from me (which I got from my dad). 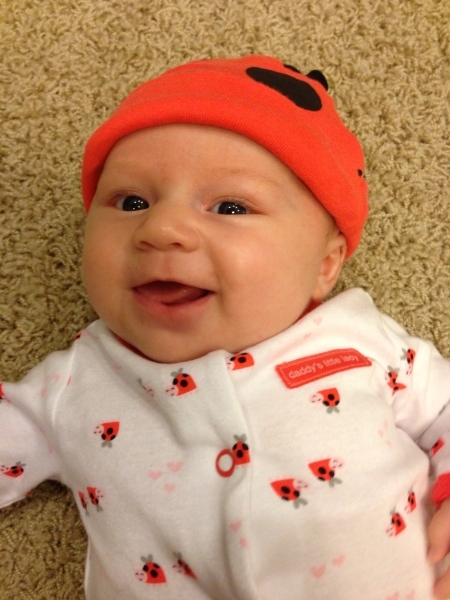 This entry was posted in Life and tagged baby on August 20, 2013 by everydayscott. This morning, something miraculous happened right before my eyes. 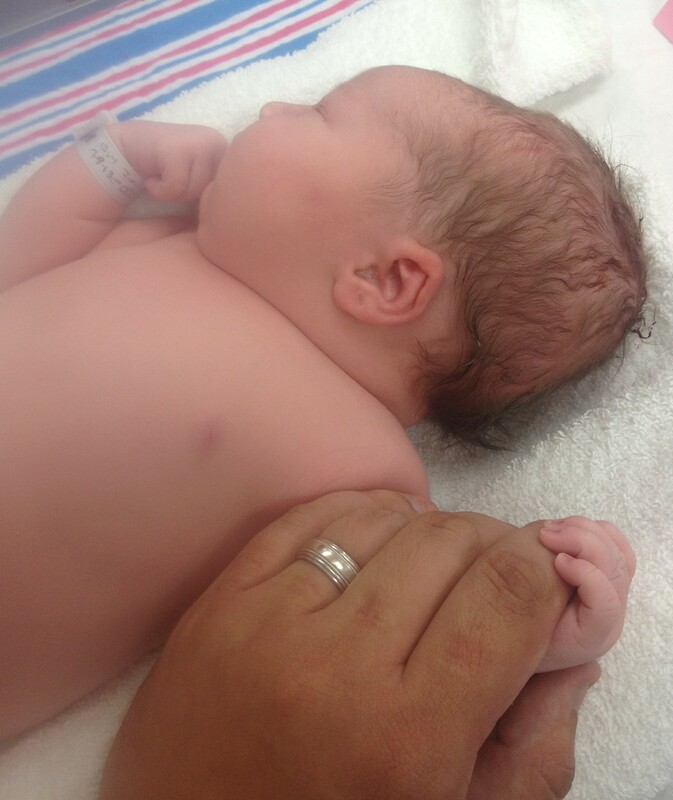 My wife, who is a superhero, pushed our baby girl into the world. And oh my goodness is this baby girl precious. I’ve kept a close eye on her all day, and from what I can tell, she’s just perfect. Her name is Olivia. I am smitten. 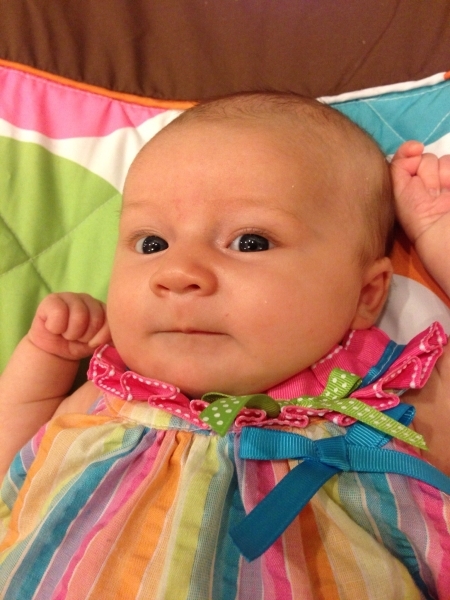 This entry was posted in Life and tagged baby on July 10, 2013 by everydayscott. Inbox Zero and GTD changed how I work. The tips of “Don’t constantly be reading incoming email” and “move email messages out of your inbox” are keys to how I succeed at managing what seems like a deluge of incoming email. It’s changed me, in some ways for the worse. I see inboxes everywhere now. I’ve got a Netflix Instant queue filled with movies I’m never in the mood to watch. I feel bad that I have hundreds of unread articles in Pocket. I just unsubscribed to The Magazine because I couldn’t keep up to date with new issues. I even quit playing Words With Friends, because it was just another inbox. That’s just the beginning. My Letterboxd watchlist has just over 400 movies added. My Downcast “Everything” playlist tells me I have 238 unplayed podcast episodes (a little over 100 hours). I just added up some 25 seasons of TV shows I’d like to watch, including Breaking Bad, Supernatural, Sopranos, and many others. The unread shelves in my Goodreads have 168 books. I’ve got a stack of video games that each deserve 40-50 hours of play time. Let’s not even talk about comic books, new music, board games, and Longform articles published online. For a long time I felt almost crushed under the pressure of not having any time to consume all these things. Really, who has that kind of time? I’d need some 2,500 hours of free time to get through all my lists of unread/unwatched/unconsumed stuff. If I spent 2 hours a day, it would take me almost 3 and a half years. Then I realized: then it’ll take 3 and a half years. It’s not going anywhere. Some of those movies and TV shows I’ll watch with my wife, some of the movies, books, or podcasts will be things I want to talk about with friends. Some of those books will get made into movies, some of the podcasts episodes will be worth skipping, some of the movies I won’t finish, and some of the video games won’t merit a second playthrough. When I first got my Xbox 360, the game I played most was this puzzle game Hexic. You just spin these pieces around in the grid shaped game area. It dazzled me and I played for hours. I was the same way with Tetris. And nearly every other video game I can remember, I was constantly replaying it to master a top score or best time. I must have rewatched the original Star Wars trilogy every week of my childhood, and I can’t count the times I’ve seen some of the movies we watched as a family growing up (Romancing the Stone, So I Married an Axe Murderer, and Bill & Ted’s Excellent Adventure come to mind). I think as a teenager I saw more reruns of Quantum Leap and Saved by the Bell than any single person should. I think most people are like this. I think most people are daunted by the things they haven’t done/seen and comforted by the things they know best. I think most people would rather eat at the restaurant they know they like then try some place new, or eat at the same entree than try something they may not like. Sometimes its nostaliga that has us watch old movies we love instead of a new one or revisit vacation destinations than visit a new city. It takes a great deal of effort to try new things, step out of your comfort zone, and take a risk. So I refuse to think of my Watchlists as Inboxes anymore. They are wishlists. They are a pantry. They are a rainy day toy box. No one ever feels pressure to use up all the flour and sugar in their pantry. Just use it as needed, since it’s not perishable. When Christmas is over, no one should ever feel pressured to buy up the rest of their Christmas list. It’s about enjoying what you have, not what you don’t. And some toys you keep stashed, in case kids can’t play outside. So that is my new philosophy. And I feel much better. If only I could make a decision on what movie to watch next. This entry was posted in Life and tagged Movies, Podcasts, Television, Video games on February 15, 2013 by everydayscott.